Truth be told, I think gathering inspiration from business style has made me a more confident dresser. 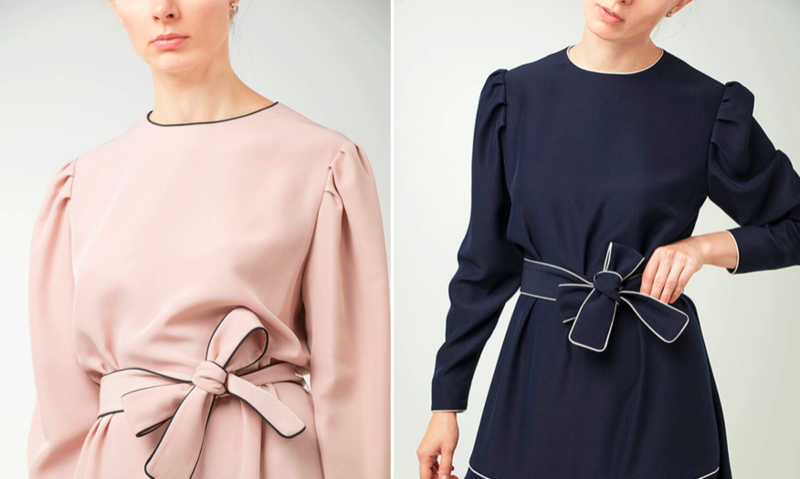 It’s not rooted in trends or brands or labels–it emphasizes classic silhouettes, never aiming for perfection but instead, embracing and finding beauty in the imperfections and simplicity. 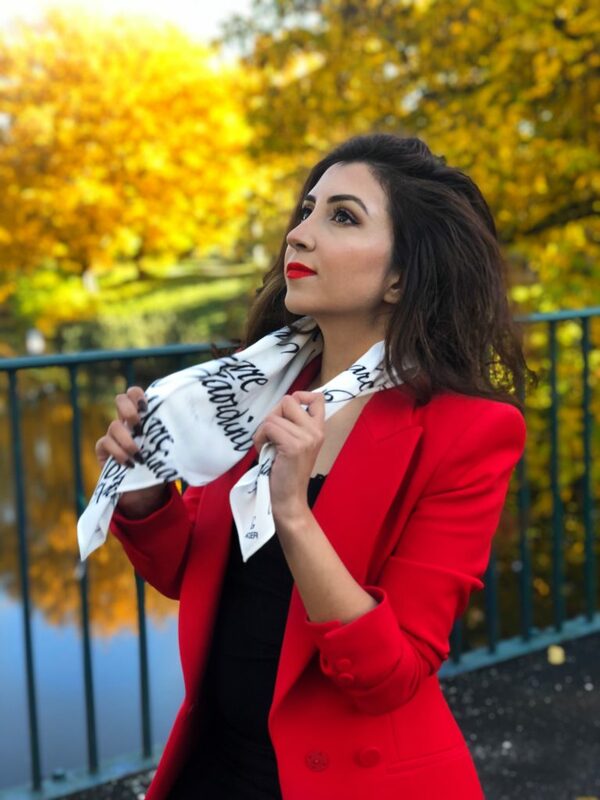 Business style has taught me that you can make a statement with a nice simple workwear and a bold red lip, or focus on finding a few perfect wardrobe scarves and wearing them for everything – to work, to go out on a date, and on the weekend, too. 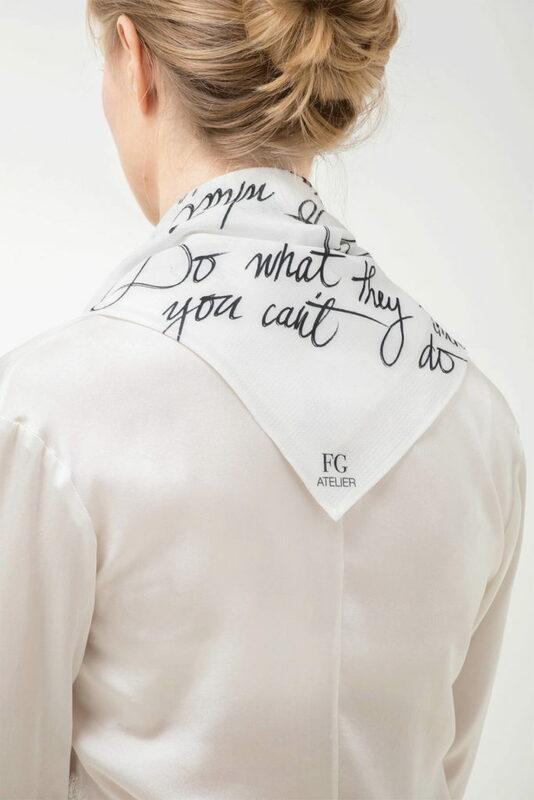 One business style staple is having a classic scarf. 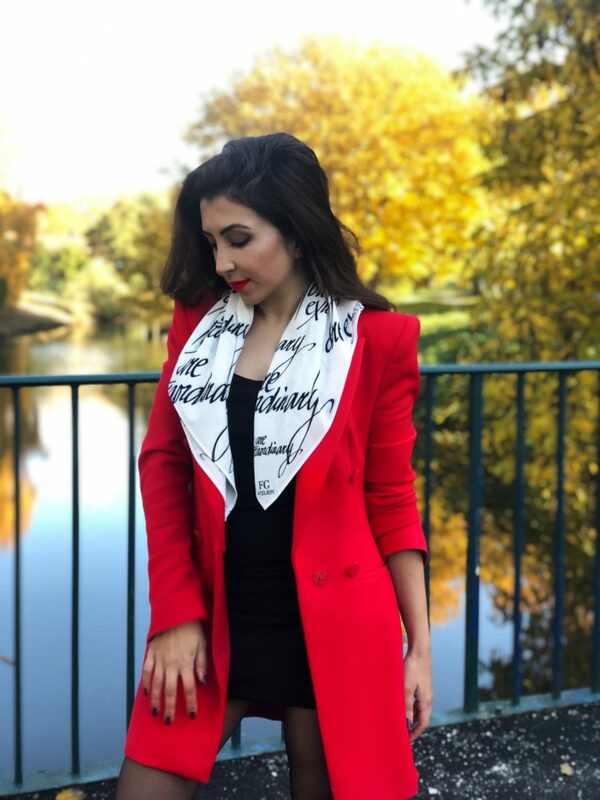 Whenever I need to add a little something to my outfit, I usually pull out a favorite scarf and it truly makes even the most basic outfit to the next level. That’s what we need right!? 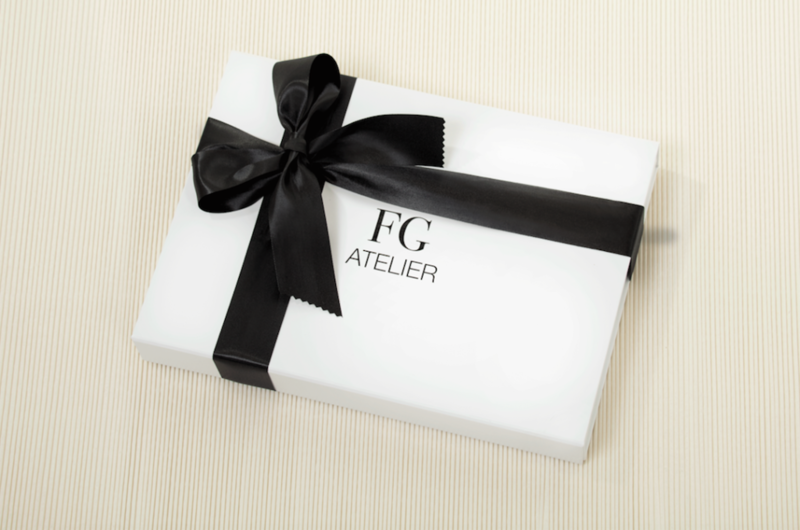 Founded by sisters Monika and Emilija Peciulyte, FG atelier was created to make life easier for professional, modern women who want to look sharp and feminine at work with minimal time and effort. 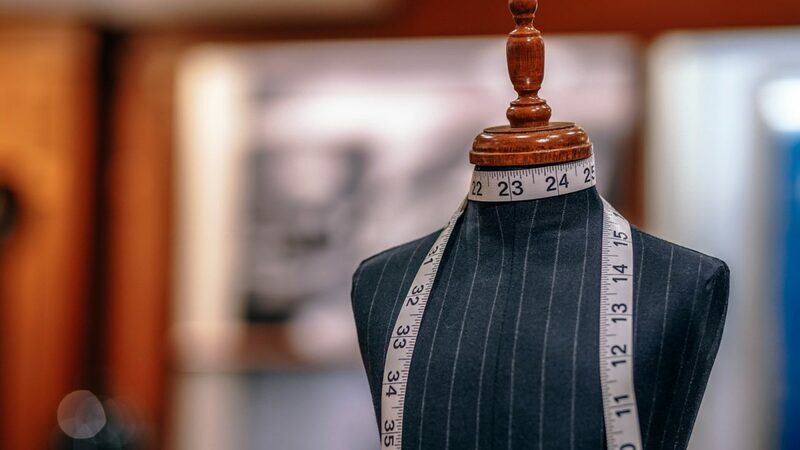 They truly understand that a woman expresses herself through what she wears – especially at work. 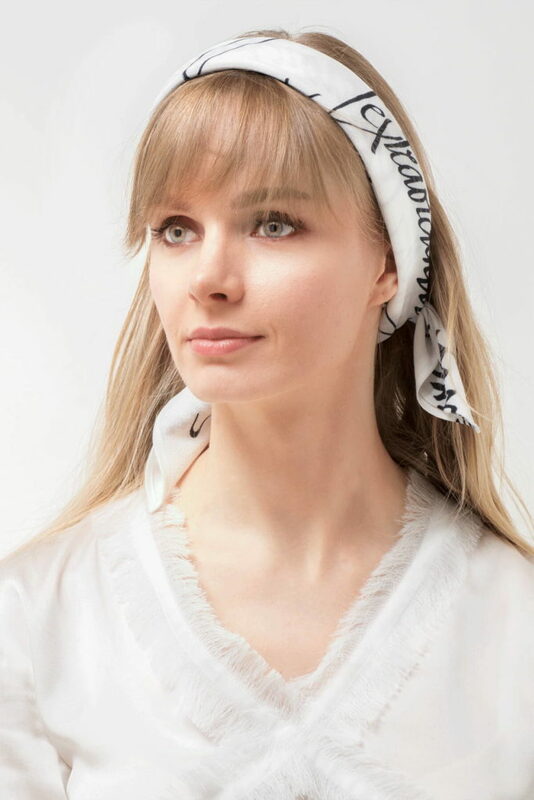 The sisters have given me one of their Talisman Scarves to try out, so I’m so excited to share my review! 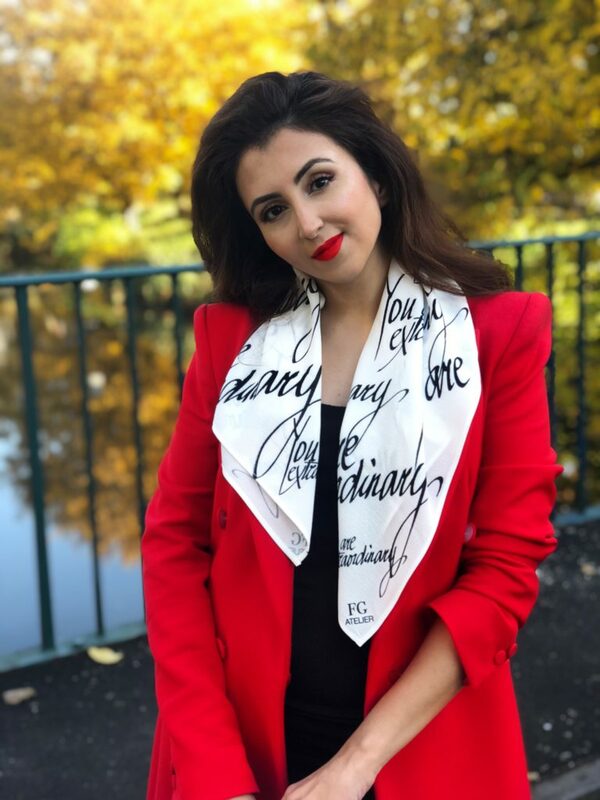 The Talisman scarves are not just an another scarf in your wardrobe, it’s a scarf that fits your personality, your mood and your strength. We know from our own experiences that words have magic power. 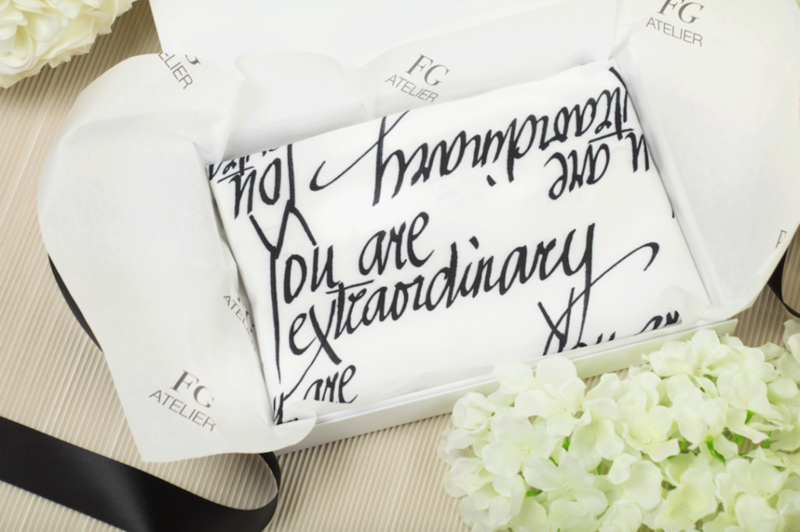 That’s why FG Atelier created Talisman Scarves – a source of inspiration and daily reminder to all of you that you can become your best version. 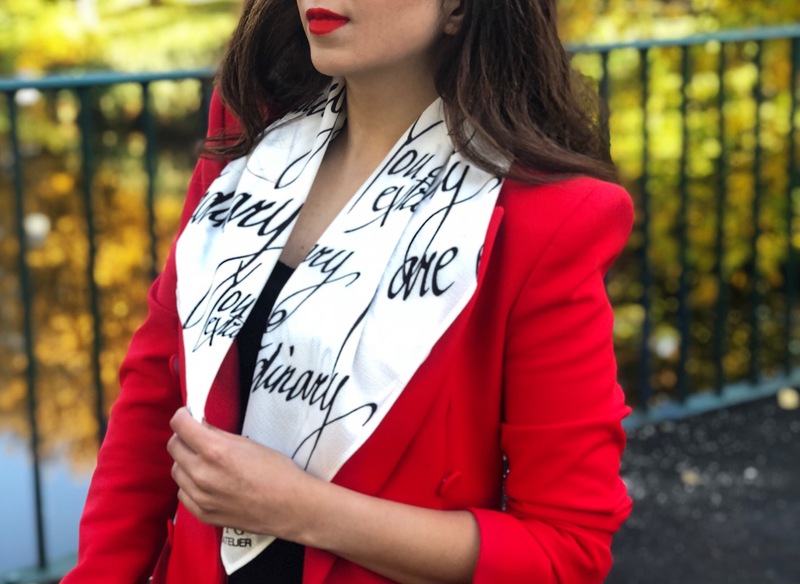 What got my attention the most is that Talisman Scarves are created as a source of inspiration, courage, and motivation for women around the world. It wants to remind you of your dreams and goals every day, so that they eventually become your reality. 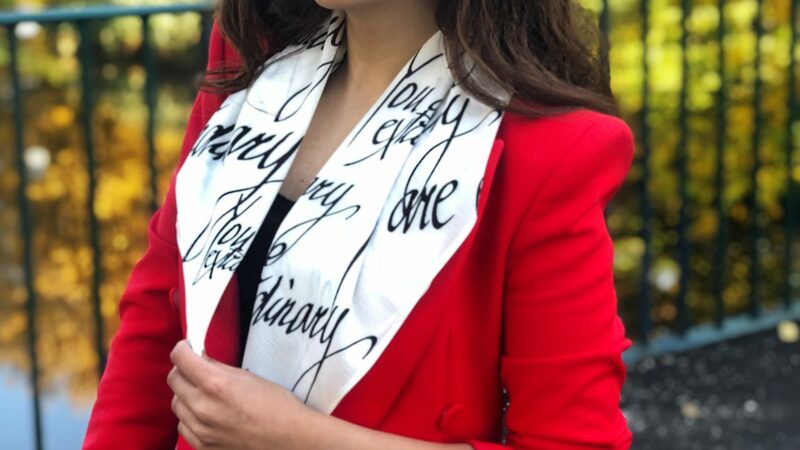 They have several scarves with different texts on it, mine has ‘’You’re Extraordinary’’ on it, because that’s how I want to feel like all the time! Do you want to be more courageous? Strong? Or maybe you dream of ending your habit to procrastinate? 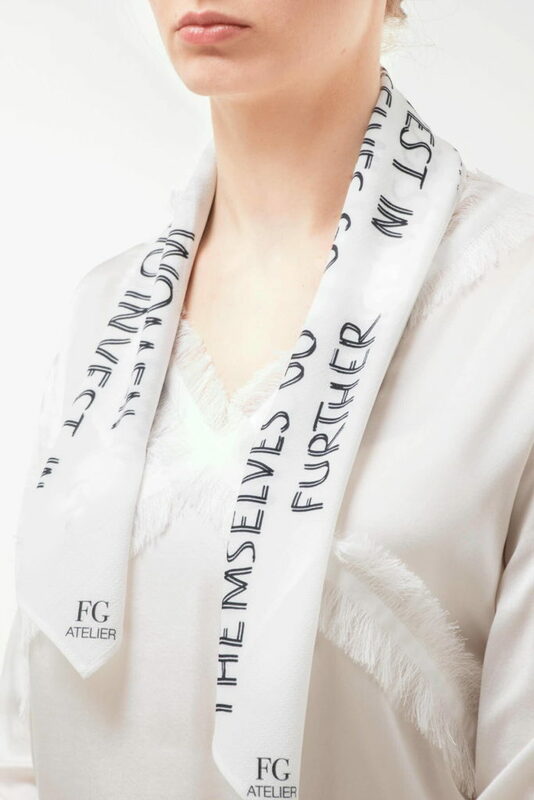 Whatever it might be – choose your Talisman Scarf based on what you think you lack at the moment. And give yourself that little push and gift at the same time! 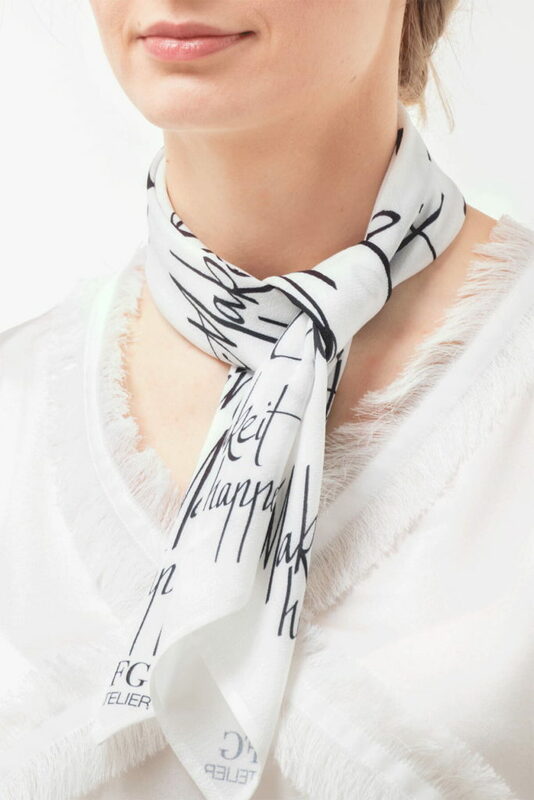 When the scarf is worn, the message is not clearly seen by others but looks more like a subtle pattern on a fabric. It’s like a little secret that only you know and it is very powerful!